Traveling to the hotel where I was to do a presentation for the Academy of Professional Family Mediators, I had a lovely exchange with Steve Erickson and Diane Neumann, out of which a really exciting idea emerged about the possible use of music by APFM practitioners that parallels the use of music in our Operation Respect work which is focused on creating a caring, accepting, bully-free school environment that, coincidentally, includes teaching the rudiments of non-violent conflict resolution to children and youth (see: www.operationrespect.org). In the case of Operation Respect’s classroom-based program, called “Don’t Laugh at Me,” certain songs are played and sung together that we have found can reach the hearts of students and teachers, opening them up to sharing their thoughts and emotions in an honest, and frequently powerful fashion. Music has the capacity to invoke our “better angels,” and our use of it is a signature aspect of our work at Operation Respect. My idea was that music might be used in a different, but analogous way by Family Mediators and, after my presentation in Reston, Virginia to APFM, a number of Mediators told me that they were going to try using music in the way I described, though there might be other effective ways for Family Mediators to use music as well. Prior to meeting with a couple, the Family Mediator could ask each party to send to the mediator a list of songs (around 10 or so) that had special meaning for them as a couple during the time that they were dating, or in the earlier period of their relationship. The mediator would look for overlaps of the songs picked by each party. Then, in the beginning of the first session, after the “ice has been broken,” the Mediator would ask the couple to listen to one (or two) of the songs (ideally, ones that had been mutually selected by the parties, or one selected by each party (Note: The Mediator would have downloaded the song, or songs, from iTunes prior to the meeting with the couple and have a means to play the songs; it would be best to play them relatively softly). Each member of the couple could be asked to write down an emotion she/he felt during the playing of the song(s). The Family Mediator would begin by noting the positive emotions that were written down and would comment that, as with all couples, there was a time in which they shared great love and affection and that it would serve the couple well if, when they speak to the Mediator, they try to keep that memory in mind to the degree possible, even though other emotions and recollections that are far less positive might come up. The Mediator might mention that honoring such positive aspects, even if there currently is a wall of resentment and bitterness, will help the Mediator to do the best job possible on behalf of her/his clients. The Mediator should share his/her intention to help the couple through their process of dismantling their marriage or relationship with the least possible damage to themselves, their children, their friends, and their extended family members. Further, the Mediator should state that his/her intention is to try to make sure that, as time passes, the couple has the greatest chance to remain supportive, civil and cordial towards one another. One should, however, not be surprised if one or both of the parties write the word “angry” or “sad”, because playing these songs might also elicit feelings that the hopes and dreams which the couple shared in their early relationship were betrayed, leaving feelings of sadness and disappointment uppermost in one or both of their minds. If no positive emotions or words come to mind for either party when the songs are played, the Family Mediator could still use the situation to speak in a caring way about the fact that current problems being faced can cloud what might otherwise be positive memories. However, the mediator can express the hope that, as the threads of the problems become at least partially untangled, and as each party’s ability to remember and honor the good times and the love once shared increases, such evoking of positive memories will lead to a more successful, positive and workable conclusion to the mediation. 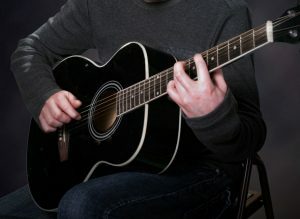 Moreover, it should be noted that, unlike logical and factual exchanges, music touches a different part of the brain, and that even when playing a song at the beginning of mediation might appear to have done little to dampen the angry fires, positive, unconscious effects may later evidence themselves. Since so much of communication is non-verbal, using music in the way described above might give the mediator another tool, beyond the exchange of words and more common techniques used, to create a positive and perhaps even a bit more empathetic and giving environment. During successive meetings, each party could be asked to send in the name of another piece of music that each member might like to hear, or, alternatively, a piece of music that each thinks the other partner might like to hear. The mediator could promote the idea that this sharing would be a good way to start mediation sessions, so that the hard work of mediation that follows would be preceded by a mutual effort to create a more neutral, if not a more positive, emotional field. As such, this small gesture could serve as an “olive branch” extended between the parties. In order to accumulate the knowledge gained from these interventions, participating mediators should write up their experiences to share with a central source at APFM (See Evaluation Form below). If lots of success is reported, a more formal study could be implemented that might be published—one that codifies and advances the efforts of Family Mediators. Please know that I’d be grateful to learn of any successes, or failures, that result from this experiment. It would be a gift to me that might enlighten me and/or Operation Respect in our on-going work. 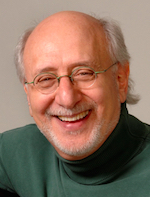 PLEASE COMPLETE THIS FORM and APFM will forward it on to Peter Yarrow. Thank you! This simple form will give us a preliminary report on what occurred, and with what degree of success, when you used music as part of your mediation process. In addition to filling out this brief, evaluation form, please add a few comments and a description of what took place in your session(s). Please fill in the form after each session in which music was used to help facilitate a more positive environment for a couple.